Cashier Stand - G.A. 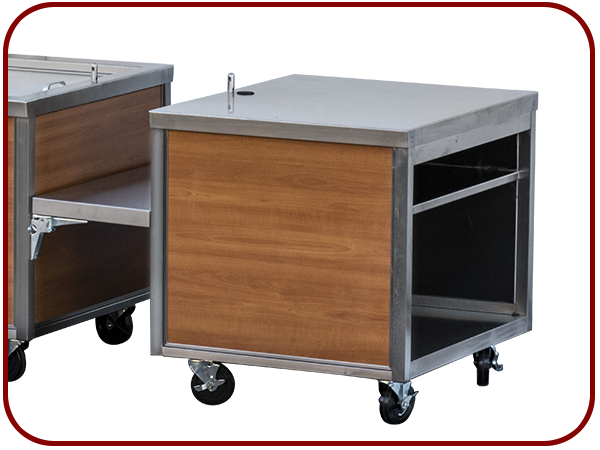 Systems, Inc.
Our mobile cashier stands are designed to line up flush with our speedline cabinets and have the cashier stand at the end of the double-sided self-service speedline. They are available in two lengths 31” and 19”, two widths 30-3/8” and 36-3/8” and two heights 34” and 31-1/2”. 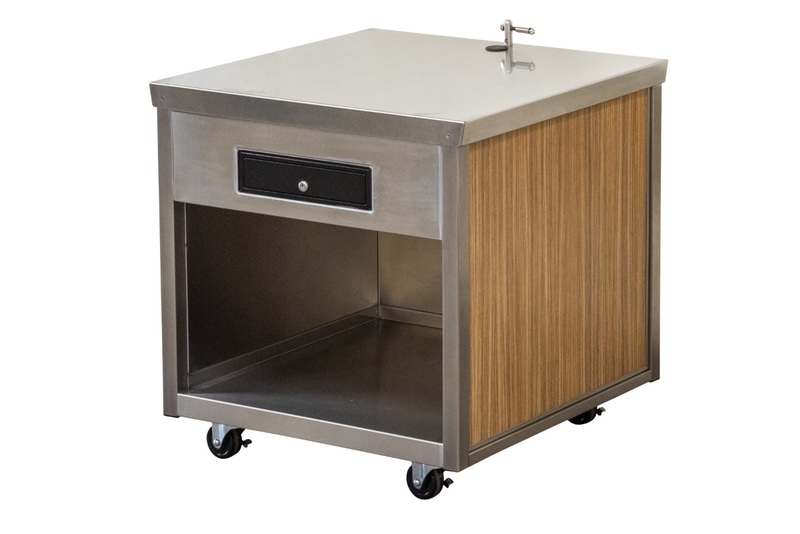 We also offer Side cashier stands they are designed for the cashier to stand behind the counter for standard serve up style service. We manufacture one ADA compliant cashier stands. 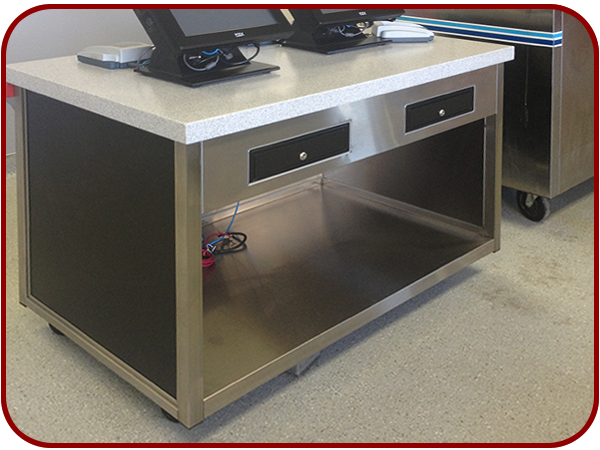 Our standard Cashier Stand feature a stainless-steel top, cash drawer, stainless-steel bottom shelf (no bottom shelf on ADA cashier stand) and a grommet hole on top shelf and bottom shelf for electrical connections. Some options; solid surface material for the top, tray slides, no cash drawer and stainless steel shelf in lieu of cash drawer and more (see accessories section). Spring loaded cash drawer with 5 bills and 5 coins insert. Condiment insert or option in lieu of cash drawer a shelf.